Your New Year’s Fitness Goals: Falling off the Wagon Already? Sadly, most New Year’s resolutions and fitness goals begin to lose steam sometime in February. In fact, depending on where you get your numbers, 80 to 90 percent of them fail. This failure could make an awful lot of us feel badly about ourselves, but we really should cut ourselves some slack. Habits can take a long time to develop, so undoing bad ones and creating positive new ones can be very challenging. Continue reading Your New Year’s Fitness Goals: Falling off the Wagon Already? 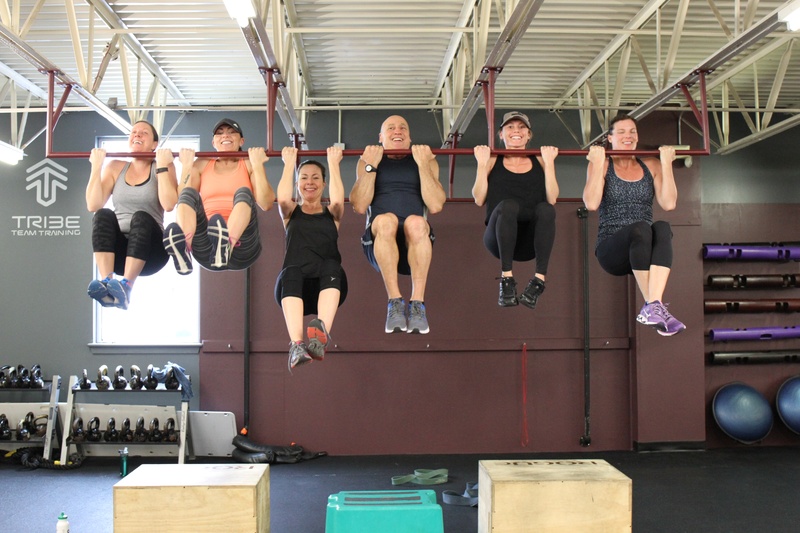 Research shows that working out in a group is effective, motivating and fun. But, for people who are new to group exercise, it can also be a little intimidating. At Cornerstone Clubs, we are committed to helping you start out on the right foot. We know that if you feel confident from the second you step on the road, you’ll stay for the journey. One way we demonstrate our commitment is by offering several introductory free fitness classes each month. 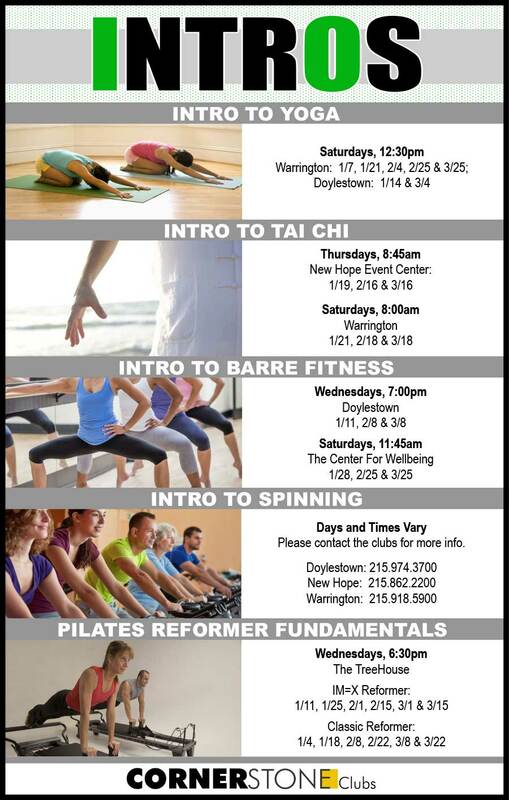 These classes allow you an opportunity to try something new or different in a non-intimidating and educational way. 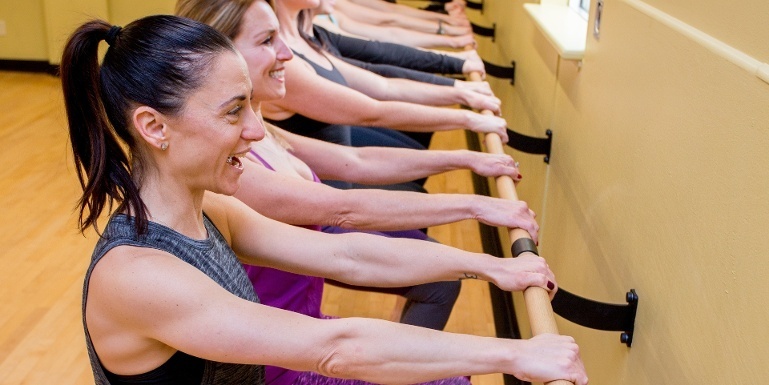 Small class sizes guarantee personal attention that will prepare you to step right into a regularly scheduled class with confidence. These hour-long classes are available to you absolutely FREE (with the exception of Reformer Fundamentals, which costs $10). It’s no secret that human beings are social creatures. We’re wired to enjoy doing things together: playing, collaborating on school and work projects, attending dances and social events, participating in sports, and celebrating occasions like weddings and birthdays. And yet when it comes to exercise, we often try to go it alone. Sometimes it works, but more often it doesn’t. Research suggests that more than half us drop out of our fitness programs after six months. The hard part is sticking to that pledge to eat better, give up smoking, get more exercise, watch less TV. Why do so many people fail to stick to their resolutions, and what can we learn from the people who succeed? Read on to see how you can make 2017 the year where your resolutions last.